After the host MCU application calls the WINC driver initialization m2m_wifi_init API, the WINC remains in Idle Mode, waiting for any command to change the mode or to update the configuration parameters. In this mode, the WINC enters 'Power Save' mode which disables the IEEE 802.11 radio as well as all unneeded peripherals and suspends the WINC CPU. If the WINC receives any configuration commands from the host MCU, it updates the configuration, sends back the response to the host MCU, and then returns to the Power Save mode. In the Station (STA) mode, the device acts as a station connected to an access point. 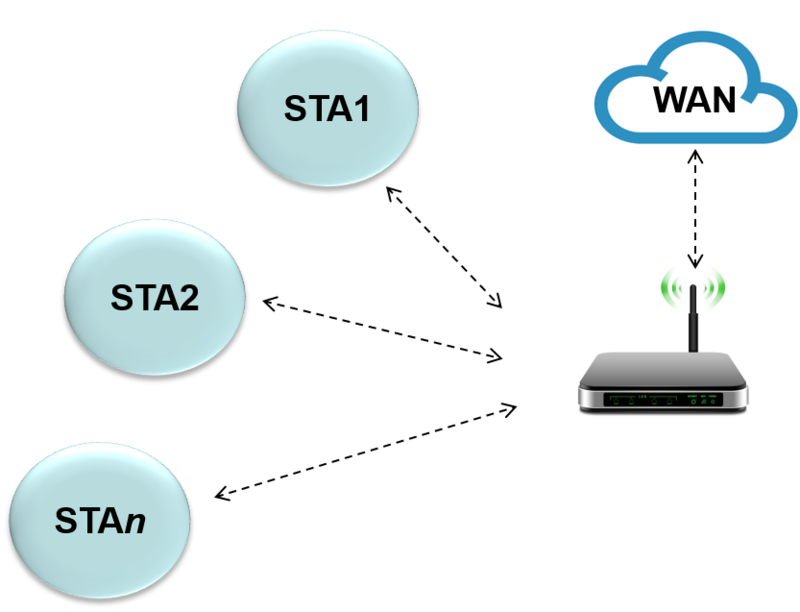 The STA mode involves a scan operation: association to an AP using parameters (SSID and credentials) provided by the host MCU or using AP parameters stored in the WINC nonvolatile storage (default connection). The WINC enters STA mode when the host MCU requests connection to an AP using the m2m_wifi_connect or m2m_wifi_default_connect APIs. 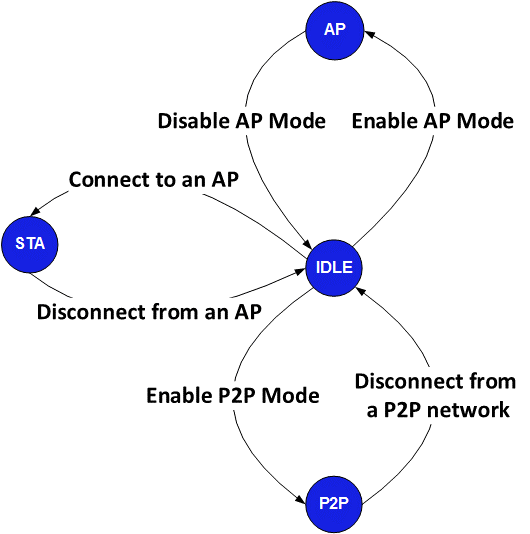 Most IoT devices in the market operate primarily in STA mode where they are connected to an access point, which then passes the information they send to the cloud. In Hotspot Mode or Access Point (AP) mode, the device acts as an access point and is used for provisioning to the network. In this mode, the WINC allows Wi-Fi stations to connect and obtain IP address from the WINC DHCP server. To enter AP mode, the host MCU application calls m2m_wifi_enable_ap API. The module can be configured to join the network via an app or a webpage. Subsequently, it joins the network as a Station. In Wi-Fi Direct (or Peer-to-Peer, P2P) mode, the WINC can discover, negotiate and connect wirelessly to Wi-Fi Direct capable peer devices. To enter P2P mode, the host MCU application calls m2m_wifi_p2p API. 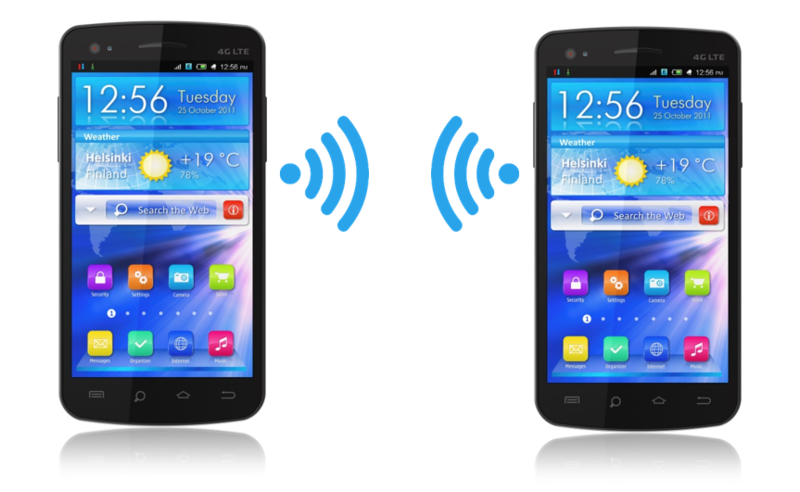 Wi-Fi Direct allows two devices to communicate with each other without the need of the Home AP. Suppose that you are at a location outside your house and you want to transfer some files between two Wi-Fi devices you are carrying. If both devices support Wi-Fi Direct, then you can set up a connection between the two devices. In this case, one of the devices will become a group owner (almost like an AP) and the other device will become a P2P client (like a station). Now the two devices can communicate with each other. Wi-Fi Direct also results in much better throughput, because the two devices are talking directly to each other (instead of via the Home AP). This results in double the throughput as the number of hops between source and sink of data is only one (instead of two when the source and sink talk to each other via the Home AP).